MILFORD, Mass. – Heading into halftime, Franklin was frustrated. 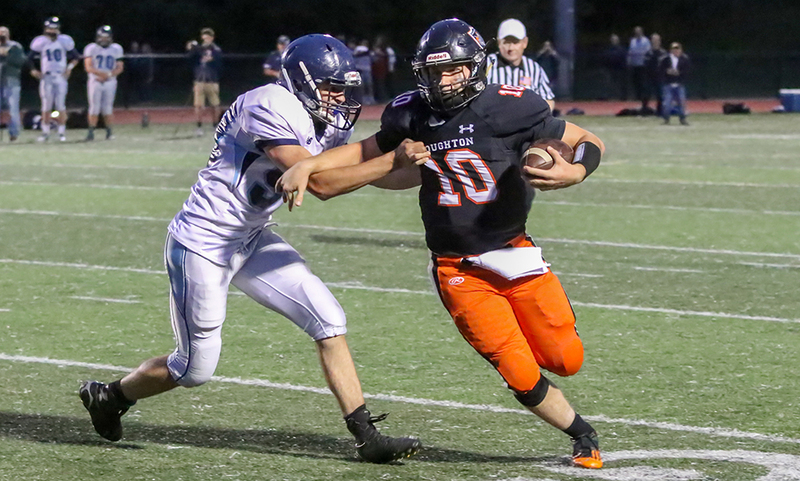 The Panthers had made a series of mistakes from turnovers to missed blocks to dropped passes to using up timeouts early in the half and Milford had taken advantage, playing the game at its pace and grinding out a three-point lead. After the break, Franklin turned the game around, scoring 21 straight points and forcing Milford to abandon the power running game that it prefers. 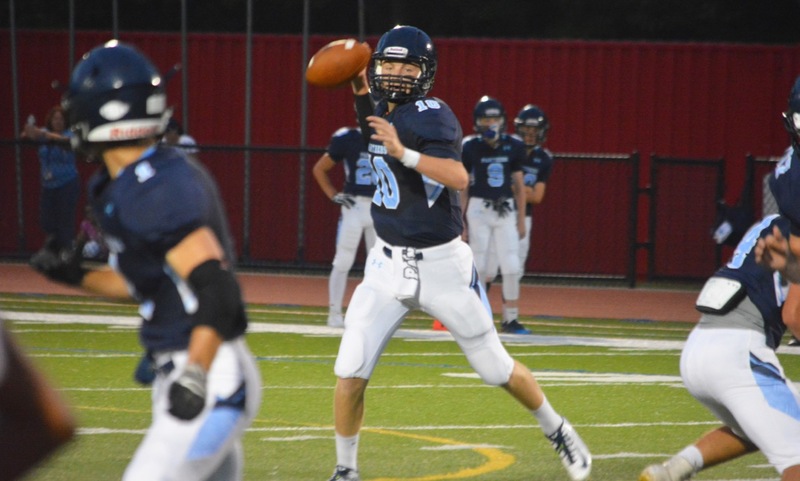 Behind three touchdown passes from senior Jake Noviello, Franklin pulled out a 28-10 victory in Friday night’s Game of the Week and evened its record at 1-1. Things started perfectly for the Panthers, who marched down the field on the opening possession of the game. Franklin went 78 yards in 11 plays and no-huddle offense was clicking in perfect rhythm. 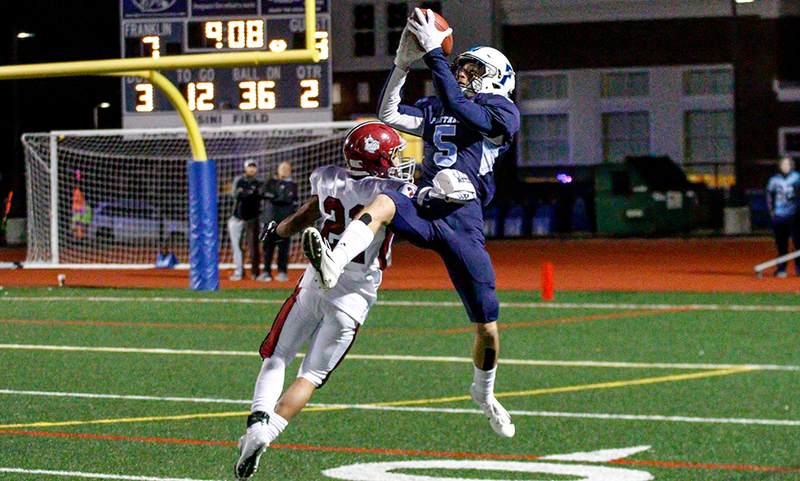 Noviello (15-26, 180 yards) was 5-for-8 on the drive and capped it with an eight-yard strike to Jack Nally (who caught four of the five completions on the drive) for the game’s first score. Special teams got Milford right back into the game. 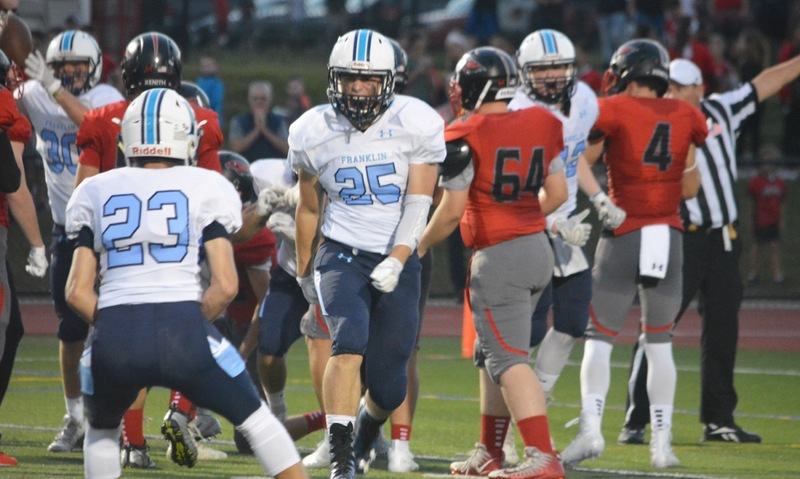 Junior Shapel Feaster returned the ensuing kick-off 66 yards to start the Hawks at the Franklin 20. 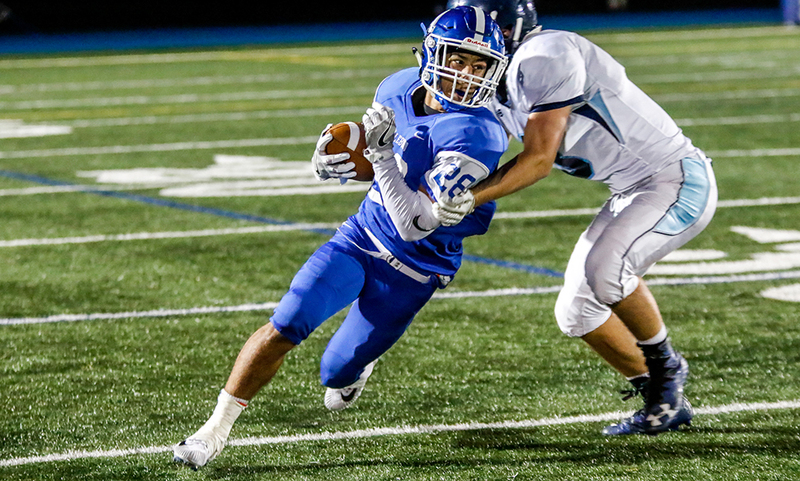 The Hawks made it count with junior Brendan White (11 carries, 26 yards) tying the game with a four-yard run that was aided by a big push from his teammates that carried him and several would-be tacklers across the goal line. Ryan Driscoll coughed up the ball on the kick return and again Milford started well into Franklin territory; this time at the Panthers 16. A holding call denied Ryan Pearl a touchdown on a keeper and a Jackson Gilbert tackle on third down and goal forced Milford to settle for a 20-yard Sean Lehane field goal to take the lead. 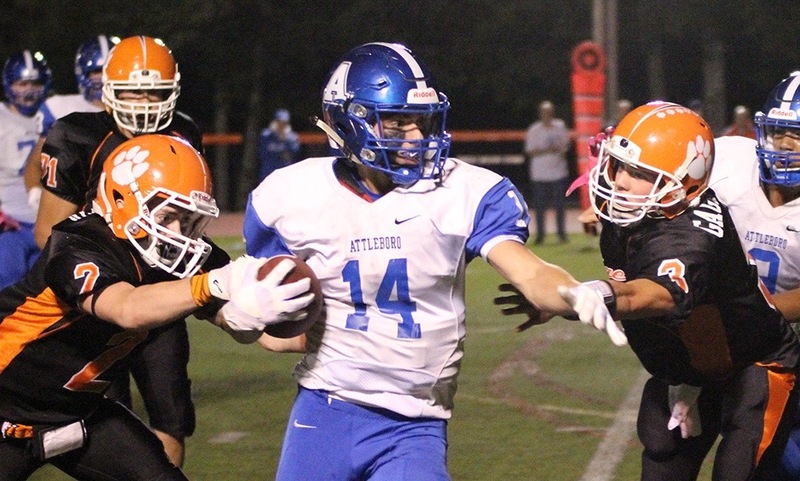 Milford continued to grind out yards on the ground, running out the clock with a balanced attack that featured Will Pointer (13 carries, 65 yards), Ryan O’Toole (eight carries, 32 yards) and White. 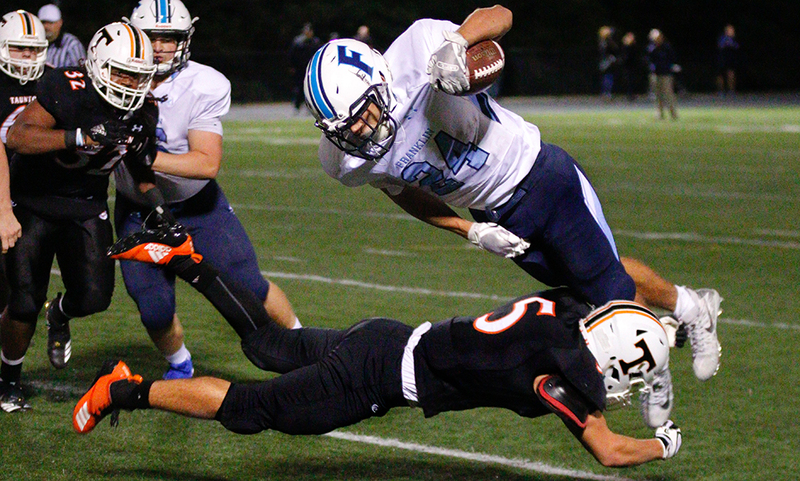 The Hawks got the ball out of halftime and there was a lot of energy on the sidelines, but Franklin forced a punt on the first possession and then its offense got back into gear. The Panthers put together a 12-play, 75-yard drive and took the lead for good. Noviello was 4-for-6 on the drive and threw a perfect pass to hit Evan Wendell in the far corner of the end zone for a 14-10 lead. On Milford’s next possession, Evan Wertz ripped the ball away from White and returned it inside the 20, with a penalty getting Franklin down to the six. Two plays later, Noviello hit Driscoll for the six-yard score and a crucial two-possession lead. 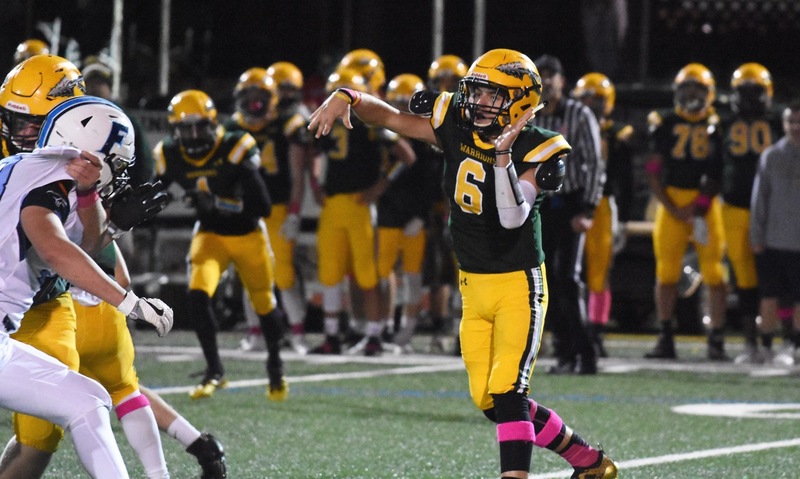 With the Hawks needing to up the tempo, Vizakis turned to sophomore quarterback Colby Pires and a spread formation, but Franklin picked off a pair of passes, including a sliding interception on the far sideline by Nolan Mclaney that gave the Panthers a chance to put the game away. Facing fourth and one on the next drive, Noviello used a hard count to draw Milford offsides and, although his pass was intercepted by Feaster, Franklin got the first down. 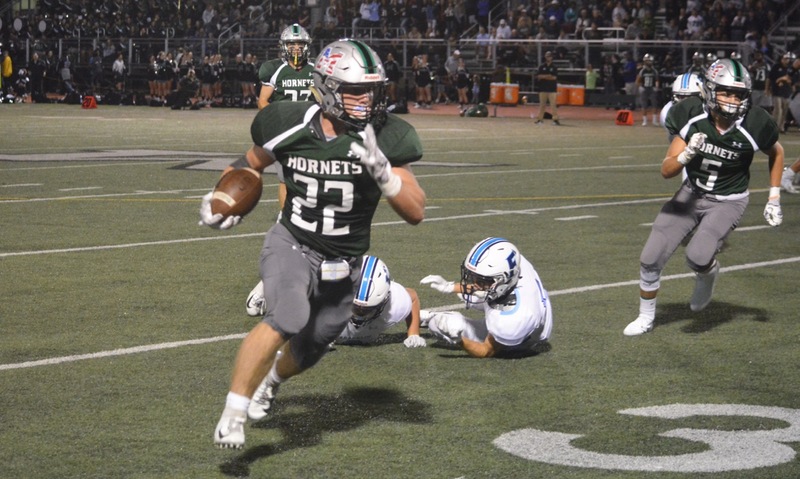 Sean Hofferty(15 carries, 39 yards) finished the drive with a two-yard dive to wrap up the scoring. 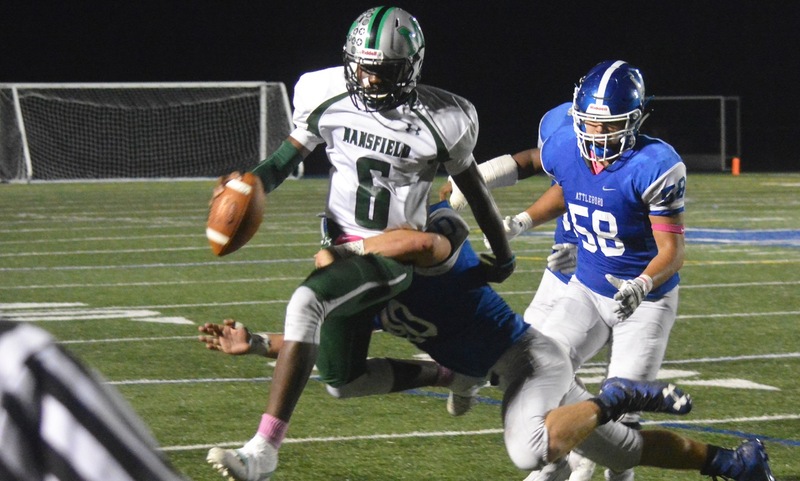 Franklin (1-1) will try to keep the momentum going next week against unbeaten Mansfield in what the Panthers are expecting will be the first game on the new turf at Pisini Field. Milford (0-2) will open Davenport division play against Canton at World War II Veterans Memorial Field.